Have you ever sat on the Neutral Ground joining the crowd yelling, “Throw me somethin, Mister,” and wondered about how many unique saying we have in New Orleans? We truly do have a lot of great ones that we sometimes forget. 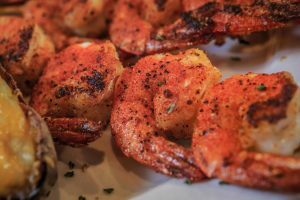 Check out our small list of 8 Fun Cajun Sayings and add your own. Laissez les bon temp rouler (lay-ZEH leh BAWN taw ROO-leh) is a great one because it means “let the good times roll.” During Mardi Gras, you will hear this phrase everywhere from Uptown to Downtown and from the French Quarter to the Parish. You may even hear it in a Cajun song, but one thing is for certain…it means you’re with family, friends, and probably some new friends ready to have a good time. A fais-do-do (fay DOUGH DOUGH) is a Cajun dance party. But, funny enough, the phrase literally means “to go to sleep.” It originates from dance parties that would last late into the night, and the children who attended would fall asleep on their own without being told to by their parents. Have you ever wondered why some people use the phrase “do-do” when it is time to go to bed? 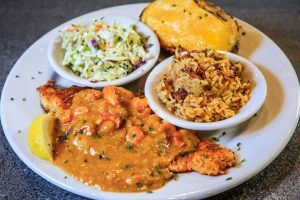 Cooking is a part of our way of life in New Orleans, and when it comes to good Cajun Cooking, you will need the Holy Trinity. The Holy Trinity consists of onion, bell peppers, and celery. This is the base for just about every famous dish from gumbo to jambalaya. 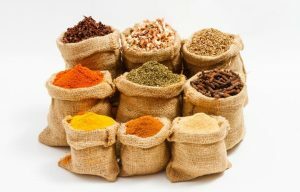 After these three ingredients, every chef will add his/her own unique touch. But remember, it must start with the Holy Trinity. Have you ever heard someone called Cher (share or sha)? It is a term of endearment or even a greeting to another person. It is comparable to “love” or “dear,” and it is traditionally used by Cajuns amongst friends and family. If someone refers to you with Cher, be proud because you are a part of the family. What is a pirogue (PEE-row)? It is a Cajun boat that is made from a single tree trunk. It is long and narrow and similar to a canoe. Its size and flat bottom is great for getting through the Louisiana shallow swamps and marshes. Just like a canoe, paddles will help propel the pirogue. If you received a little lagniappe, it means you received a little something extra for free. Locals have a lot of great phrases that are fun to learn and maybe even a great additional to your own sayings. We have a fun culture in New Orleans and during Mardi Gras and all of our other festivals, remember we love meeting new people and introducing them to our unique culture and of course our Cajun Food. Stop on by Mulates Cajun Restaurant and enjoy our cuisine and some Cajun Dancing.